For those who love to shop at 7-11 in Thailand, please take note that there is an ongoing promotion that began on 26 July and will end on 25 August. During this promotion period, special stickers will be given upon purchase of selected products. And the digit printed on the sticker is equivalent with the Thai baht. For instance the digit 3 would mean that you have 3 baht, which you can use to shop at 7-11 in Thailand. You can see how cute it is. Keeping it as a souvenir is also not a bad idea. 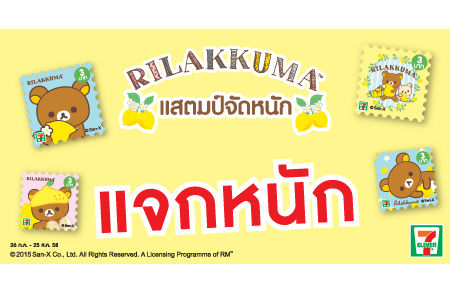 You can find more information on their website at www.7eleven.co.th; although everything is written in Thai, there is a pdf of the list of products that would entitle you to the stickers.